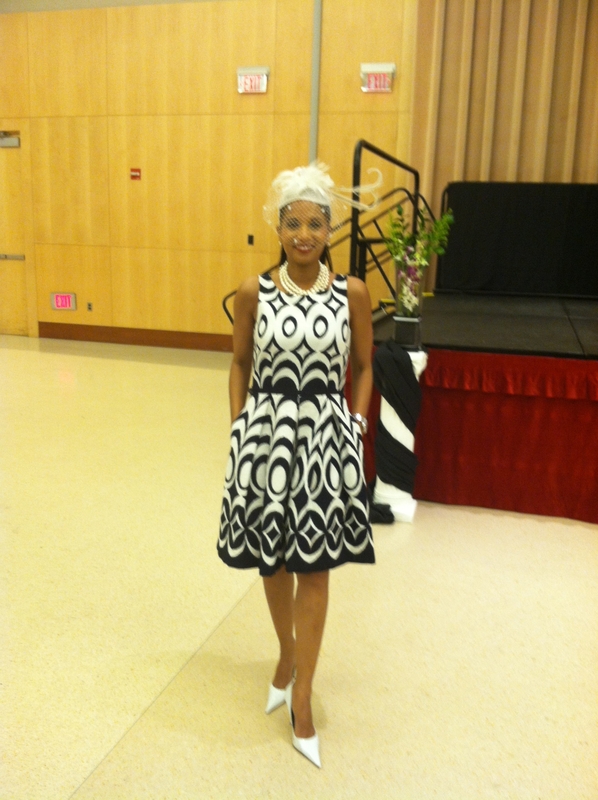 A month ago I attended a luncheon hosted by a women’s organization to which I belong. Held on a gorgeous spring morning, many of the women donned beautiful hats; and many were sporting the latest accessory ~ Fascinators. My fabulous mentor, FT, and I got into a discussion about the trend and decided that we weren’t Fascinator type of dolls. Fast forward three weeks. I was invited to attend an afternoon tea being hosted by one of the alumnae chapters of my sorority. I was to be the guest of one of my favorite, über stylish aunts, who insisted that I wear a hat. Now, I’m not a hat kind of doll. For “dressier” occasions I usually have my hair in a high bun; and for the tea, I fully intended to wear it the same way, so a traditional hat would not do. Would that mean that I would have to don a Fascinator? And if I did, it couldn’t be just any Fascinator. It would have to have some flair for the dramatic. I certainly didn’t want to end up looking like Princesses Beatrice and Eugenie at the Royal Wedding. As luck would have it, the day before the tea I attended a second event; and as I walked into the lobby there was a woman selling all types of chapeaus. I hesitantly asked if she had any Fascinators. “Of course I do,” she said. And there it was, the perfect Fascinator (for me)! Yesterday came, and off I went Fascinator in place. I loved it; the plumes, the veil; all of it! My most stylish dolls thought it worked well with my dress. I’m sold! I am officially a Fascinator lover. Are you a lover of the Fascinator? « You Are Cordially Invited to Champagne Sundays! I have always adored hats and have a pretty thorough collection. I even have a solid showing of men’s hats, acquired primarily through appropriating them from my dad. I got into fascinators about 4 years ago and I love them for the reasons you mentioned, hair styling and whimsy. 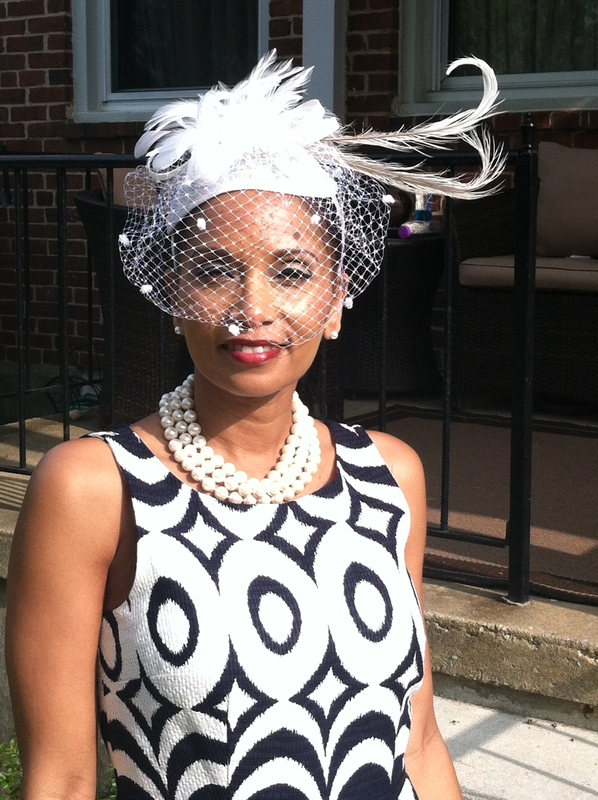 With Preakness approaching, I will think about a fascinator for the races. Not really a hat type of “doll”, but you —my friend, Rocked the heck out of that white “hat”! Lynnie, you have a new stylish look and I love it. I may have to try it myself! About those Fasinators,(called ’em “Wimsies” back-in-the-day) I’m hooked! I love big hats, but Fasinators are perfect for luncheons ‘n church when you don’t want to block view of other guests; & to echo Donna Rae you rocked that white one! You need to consider more of ’em!! !